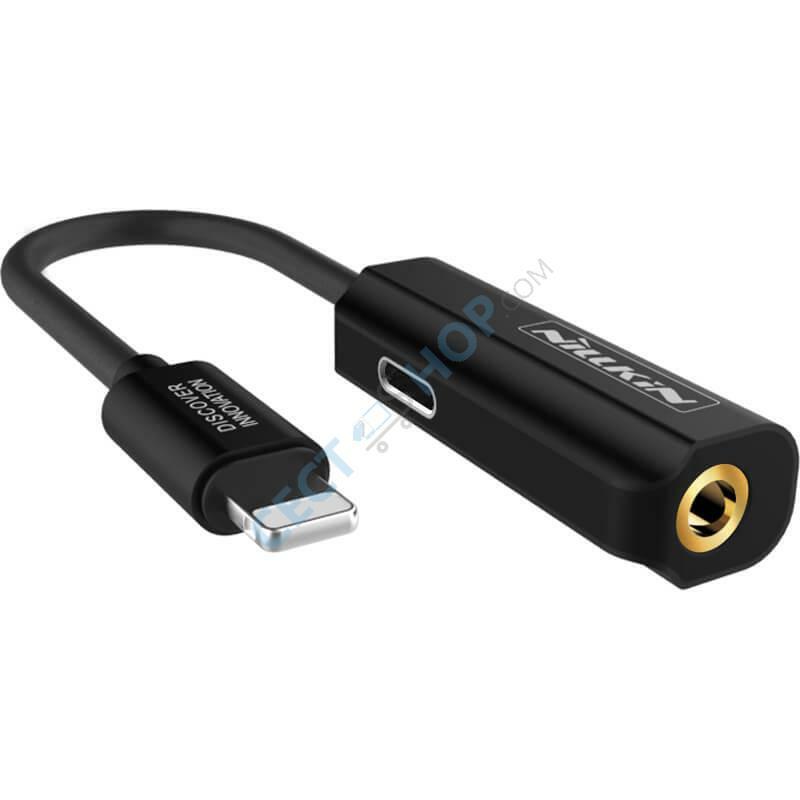 The Nillkin Apple Lightning to Lightning and 3.5mm headphone jack splitter is used to connect with iPhone 7 & 7 Plus, iPhone 8 & 8 Plus and iPhone X, iPhone XS, iPhone XR, iPhone XS Max. The adapter cable allows you to use your headphones while charging your iPhone with up to 1A of charging speed. It works with Apple device that run iOS 10 or higher. The Nillkin Apple Lightning to Lightning + 3.5mm adapter is made of high-quality TPE material. The material is strong and durable and extends the adapter's service life. It only weighs 7 Grams and is therefore very compact and portable. The built-in high fidelity decoding chip is designed to ensure clear and crisp audio. The 3.5mm AUX port is gold-plated and perfect to listen to your favorite music. Note: The 3.5mm port is only for listening to music, not for phone calls. 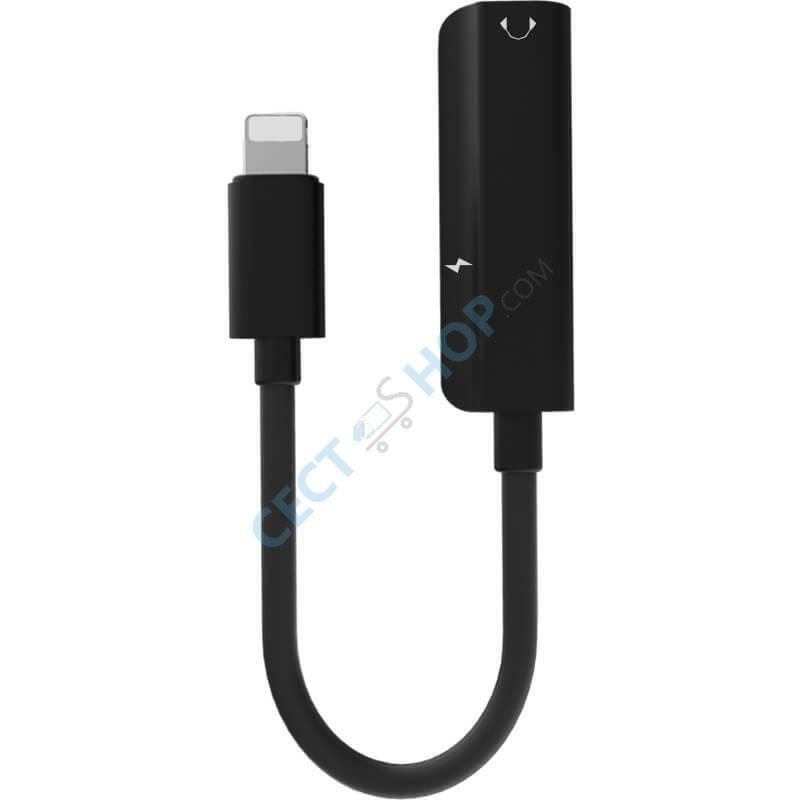 Get the Nillkin Apple Lightning to Lightning + 3.5mm adapter to power your iPhone and listen to your music at the same time - now available at CECT-Shop.com. Läuft perfekt, ohne Probleme! Gerade für Leute wie mich perfekt, die am PC arbeiten und das Smartphone laden müssen und trotzdem weiter Musik hören wollen.